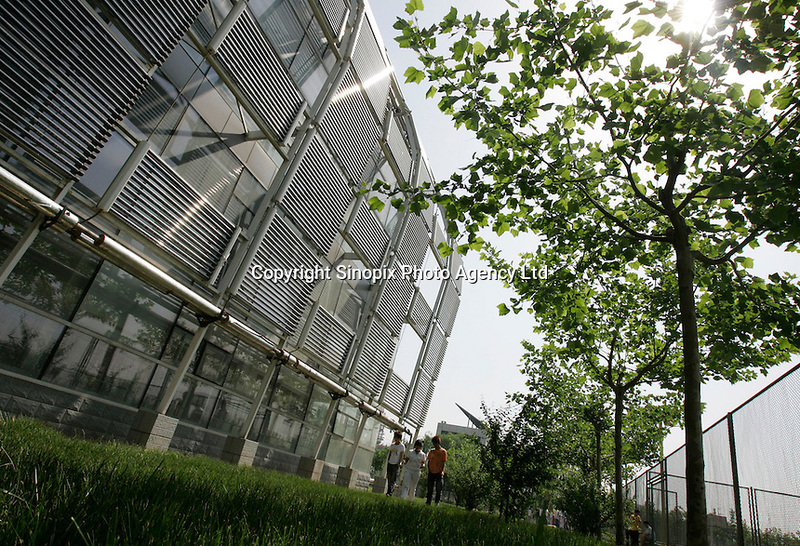 A house that uses solar thermal technology is seen near the headquarters of Himin Group, the worlds largest manufacturer of solar thermal water heaters, which is based in Dezhou, Shandong Province, China. Dezhou, a city of 5.5 million people, is known as China's 'Solar Valley'. More than 90% of all households in the city use solar thermal water heaters. Ten cities in China have made it compulsory, or offered subsidies, for under twelve storey civil-use buildings, including residential, restaurants, and hotels to install solar thermal water heaters..